I absolutely love building pieces of wearable art from scratch. Lately I have been building bezels out of silver and copper. 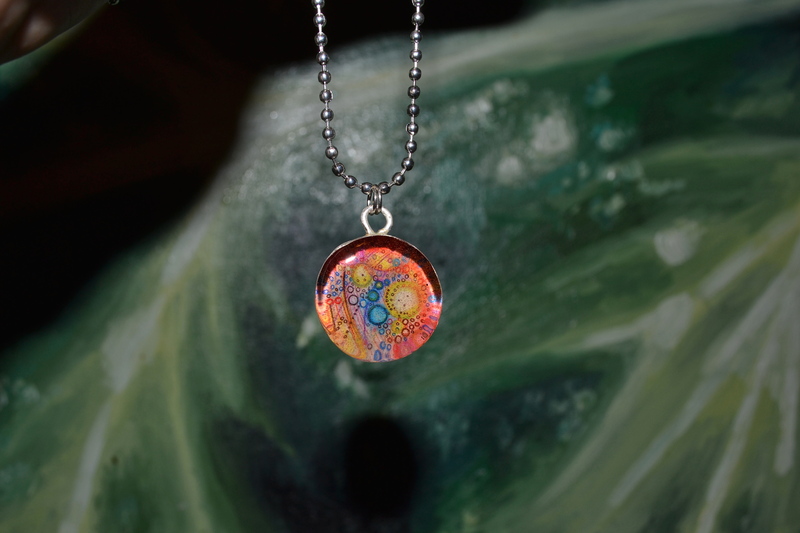 Here is one that I made using a SS setting then I set my circle art image in resin. Making these pendants is really satisfying for me because I just love the way they look when they are finished.